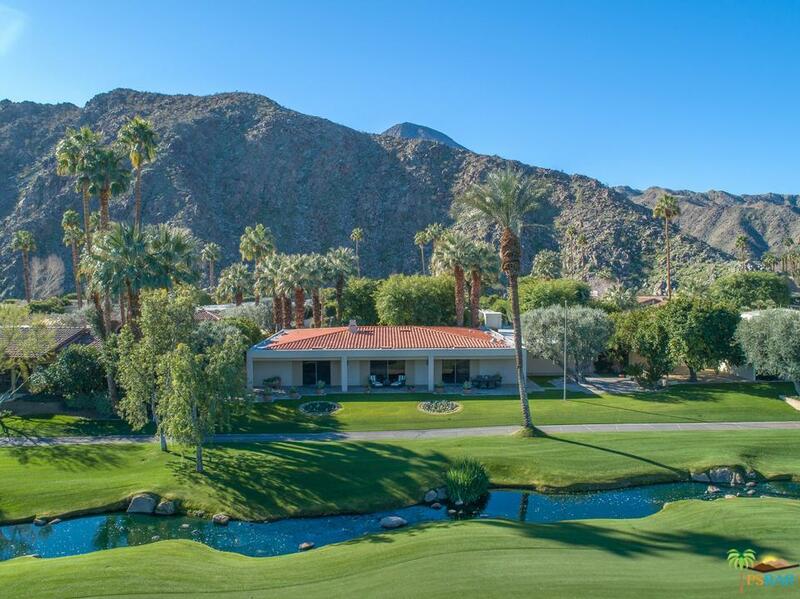 Located in the exclusive Eldorado Country Club offering spectacular views of the adjacent 13th fairway golf course and the Santa Rosa Mountains, this warm, inviting residence was built for comfort and features pleasing proportions with classic finishes. The nearly 3200 sq ft of living space benefits from numerous elegant cosmetic updates including custom cabinetry and built-ins, an open floor plan main living room, a stone mantel fireplace & decorative molding and beam ceiling. Relax in one of the three spacious en-suite bedrooms with marble counter tops & showers and ample closet space. Outside await numerous private outdoor spaces perfect for entertaining on all scales with lush mature landscaping & private spa in the gated front courtyard. Ideally located with breathtaking views of the fairway and its cascading stream off of the main living areas and the master suite. A true oasis in a dramatic setting providing the iconic Eldorado lifestyle.